﻿﻿A variety of environments and situations that call for asset management, asset tracking, and environmental monitoring. When deployed in concert with RF Code RFID asset and sensor tags, our readers give customers an unparalleled asset management solutions that provide real-time environmental data and location precision for all tagged assets, from the rack-level, through the room-level, to the extended enterprise. Our RFID readers are easily installed and work well in both wired and wireless network environments. RF Code manufactures infrared (IR) signaling units designed for use in real-time location service solutions. When deployed in concert with IR-enabled tags these products provide a method of locating tagged assets with room- or rack-level precision. Each RTLS device transmits an infrared pulse pattern containing a unique 4-digit location code. 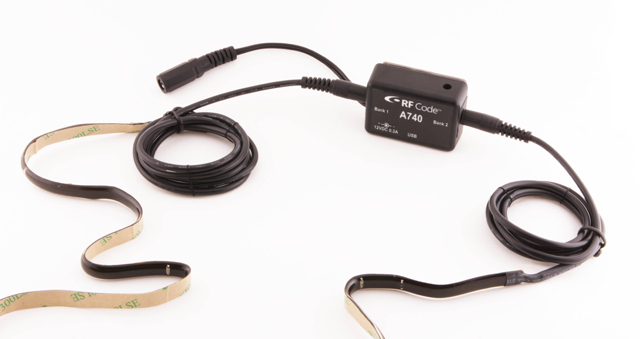 IR-enabled tags monitor their environment for incoming IR signals and periodically report both their own unique ID and the applicable IR location code. Tag transmissions are processed in real-time to quickly locate and identify tagged assets, providing realt-time room- or rack-level accuracy. Coverage zones are limited by solid physical structures such as rack doors and walls, however IR transmits within line-of-sight, and signal bouncing effectively floods a coverage zone with the location code.